In the ongoing beverage wars, established soft drink dynasties like Coke are struggling against booming industries like natural sodas and seltzer waters. 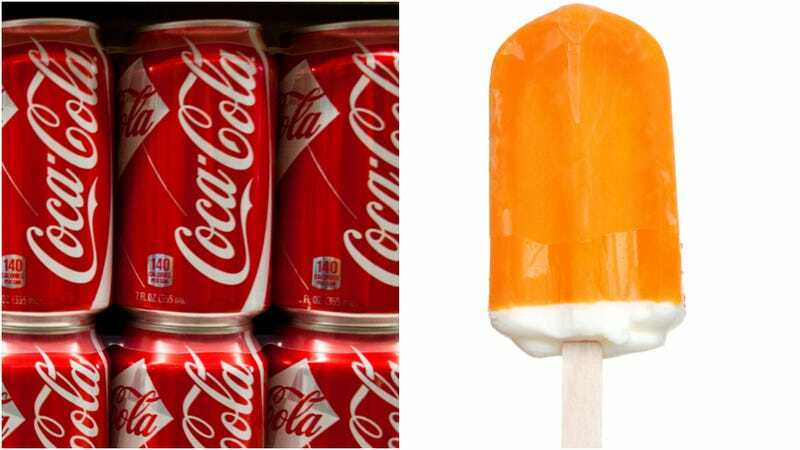 This has caused Coke to dig deep into the innovation well, coming up with zesty fruit flavors for Diet Coke last year, and now the first new flavor for classic Coca-Cola in 10 years: Orange Vanilla Coke and Orange Vanilla Coke Zero Sugar. The new products will be available February 25, so we’ll all have a chance to check it out eventually—in the meantime, may we suggest Polar Seltzer Orange-Vanilla, which tastes surprisingly Dreamsicle-like? Kathie Lee and Hoda already tried out the new flavor on The Today Show a few days ago—unfortunately, they weren’t big fans (Hoda’s immediate reaction: “Yuck”).